With an official release currently scheduled to go down on August 30th, eager fans looking to pick up this Georgetown Hoya-friendly Air More Uptempo will be able to do so a bit early. 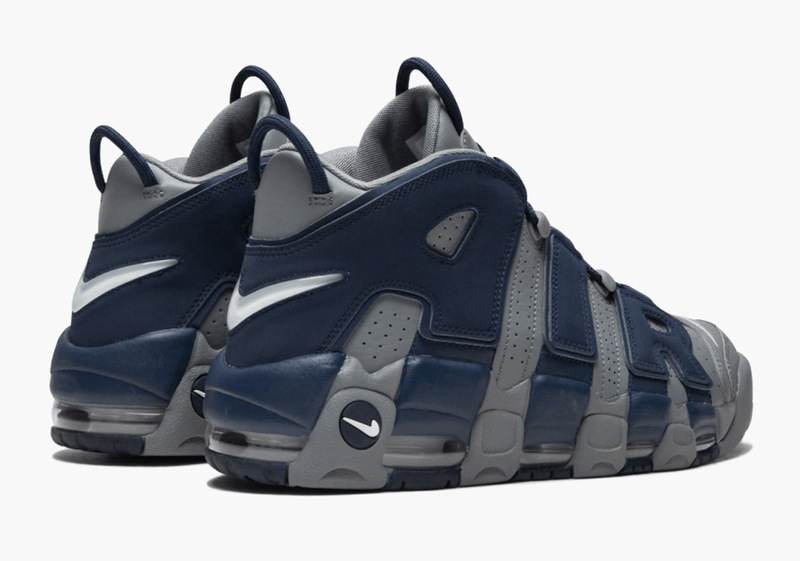 Dressed in a fitting combination of Cool Grey and Midnight Navy, this intimidating and eye-catching retro hoops silhouette is perfectly dressed in a color scheme made for one of the roughest and toughest college basketball programs of the 80s and 90s. If you simply cannot until August 30th to secure your pair, head over to eBay or Stadium Goods today to grab your Uptempo early right now.